“Project Home: The Next Battle” Wins Best Documentary In This Month’s UK Monthly Film Fest! Making a documentary is hard work, but the effort is all worthwhile when it gets recognized in a big way. That’s why we’re thrilled to announce that “Project Home: The Next Battle” was officially recognized as this month’s Documentary winner for the UK Monthly Film Fest! “Project Home: The Next Battle” is set in North Carolina and Virginia. 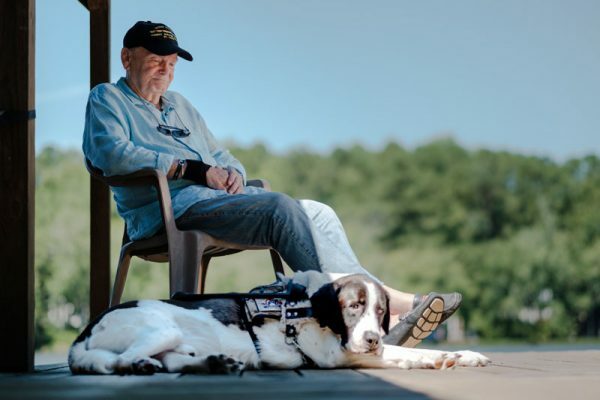 The film details the work of Canines for Service, and how the nonprofit changed three veterans’ and their service dogs’ lives. You can watch the trailer below. The Click & Pledge Foundation’s mission is simple: tell the untold stories. We film documentaries for small and mid-size nonprofits to highlight all their good work. When we submitted “The Next Battle” to the film festival, we aimed to make that audience bigger. Now the folks at Canines for Service are that much closer to a household name. The UK Monthly Film Fest offers filmmakers the opportunity to showcase their work. The festival is currently selecting the Best of the Best winners for the festival’s annual screening in Norwich on Sunday, June 17. You can also learn more about project “Home” and our foundation’s documentary series at clickandpledge.org.